(TibetanReview.net, Aug01, 2015) – Despite vigorous protests from Tibet groups as well as international human rights organizations, the International Olympic Committee (IOC) on Jul 31 approved Beijing as the host of the 2022 Winter Olympics, making it the first city to host both the Summer and Winter Olympic Games. China was, nevertheless, expected to easily win the vote, which was held in Malaysia’s capital Kuala Lumpur, given the fact that it had become a prestige issue for the Chinese government. However, it beat its only rival, Kazakhstan’s Almaty, only by a margin of 44-40, the closest IOC vote in eight years. Those who opposed Beijing’s bid contended that massive violations of human rights take place both during the preparations for and the hosting of the Games by the Chinese government, citing the example of the 2008 Summer Olympics. After the vote, Chinese President Xi Jinping sent a letter of appreciation to IOC President Thomas Bach on Jul 31 evening, expressing thanks to IOC for its trust and support in selecting Beijing, together with Zhangjiakou, as the host of the 2022 Olympic and Paralympic Winter Games. Unlike in the run-up to its bid for hosting the 2008 Summer Games, China did not make any human rights promise, which it does not keep anyhow, this time. The group staged a protest the same day outside the IOC headquarters in Lausanne over the decision to give Beijing the right to host the Games. Before the vote, Kazakhstan’s Prime Minister Karim Massimov had urged voting global IOC members to make a fearless choice rather than one which will make them sleep easier at night. Almaty was widely considered to be better placed to host the Games, with its better snow cover and with all its venues being within a 30-kilometer (18-mile) radius of the city. 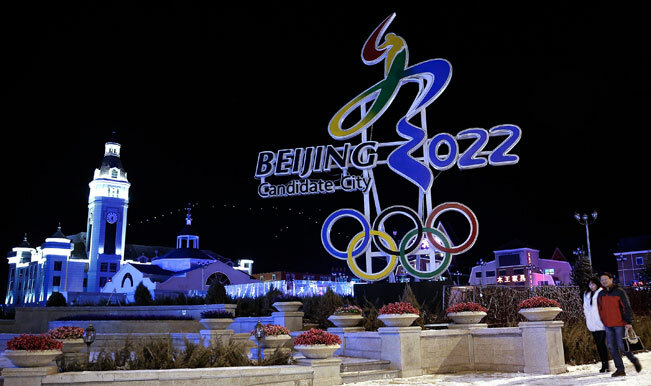 Beijing, with its venues scattered over long distances, is expected to require the creation of artificial snow covers for hosting the Games.